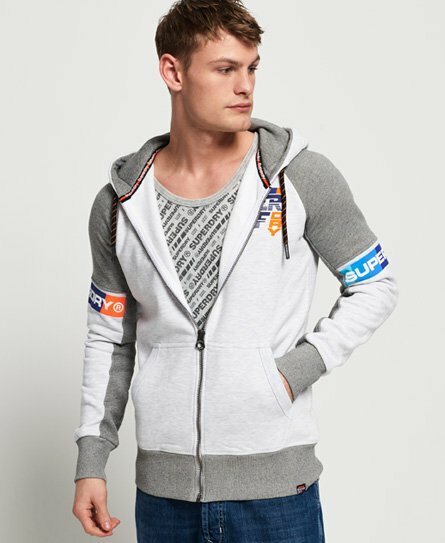 Superdry men's Super Surf zip hoodie. Layer up with this zip hoodie, featuring a drawstring hood, two front pockets and logo design on the chest. The hoodie is completed with panel logo detailing on the sleeves and a logo tab on the hem.